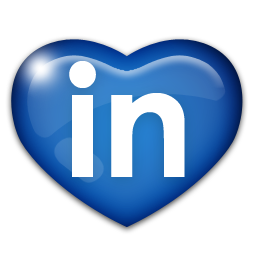 We're really into LinkedIn this Summer -- call it our Summer romance. We're launching our LinkedIn page, sharing our favorite content like crazy, and reaching out to more connections with smart, creative, b2b professionals worldwide. We also love trying out new things. So, we've kicked off a little "social media experiment" of our own, and we're calling it the "Lovin' LinkedIn Giveaway." But we digress. 3 - Access to a smorgasbord of content. Pick and choose what you want to learn about, whether its productivity tips or getting up to speed on a new tech sector. 2 - Forge winning connections. LinkedIn is the most effective social media platform for developing your business network. You may be looking for a new position or a new customer -- either way, use to LinkedIn. 1 - You can Win a $100, $50 or $25 Amazon Gift Card with One Easy Click. Just follow us, The B2B Branding Company, on LinkedIn between now and August 31, 2015 and you will automatically be entered in our drawing to receive a $100, $50 or $25 Amazon gift card. 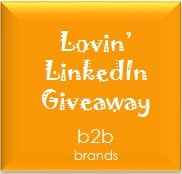 It's our Lovin' LinkedIn Giveaway and we want you to win.